Watch on Mondays and Thursdays as Master Stanley and Mrs. Stanley create live videos about interesting Taekwon-do ideas. On Monday it will be Mat Chat Mondays with thoughts and ideas you may not be aware of in regards to Taekwon-do and how it all works. 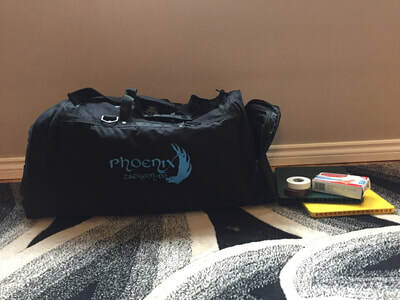 As well as timely information on things that are happening in the Phoenix Family. Then it will be Training Tip Thursdays where you will get instruction on how to perform techniques. It may not be your level of technique but the concept may very well apply to some of your moves that you are doing. No matter what, it will be information you can use at some point in your training. After the live Facebook show, the video will be posted on Phoenix's Facebook page and other places so you can see it if you miss it Live. And of course you can always go back to see it again if you need to remember the important info in it. 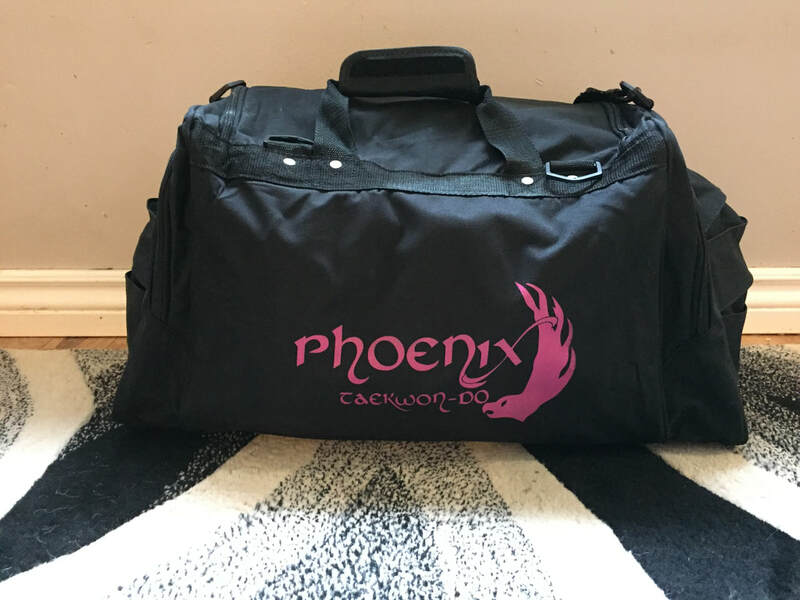 Phoenix is holding a continuous bottle drive to raise funds for the team going to Korea in August of 2020. The team is not even picked yet but we would like to start raising funds as soon as possible. If you have a bag of empty bottles please consider bringing it in to any of the clubs to donate to this fund raising effort. Just leave it at the front entry or give it to the admin. All donations are greatly appreciated. You can also get a couple yellow ticket during July and August for the summer contest!!! The next ITF Open World Championships will be held in South Korea in August of 2020. You may think it is a long way off but if you talk to the people who just competed in the Netherlands, you may hear that their competition came all too soon. Every tournament you can attend between now and then will help you gain experience and skill required to compete at the highest level. You might think today that you have no interest in going to South Korea for this event, but what if you change your mind 12 months from now, think of all of the lost opportunities that you will never get back. I suggest you train like you are going to attend and then if you don't go, you will still have yourself in a much better and more skilled position. Attendance and results at each of the following tournaments will be used to determine your eligibility to attend the 2020 Championships. Funding for athletes, referees and coaches will be available. 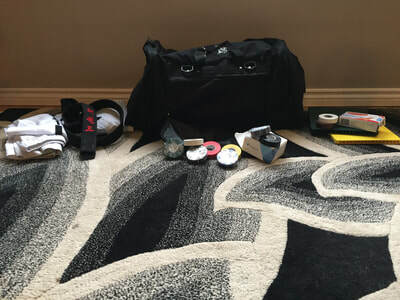 Colour belts can ask any black belt 2nd degree and up to look at their patterns or step sparring or self-defense before or after a class in order to obtain their marker stripe. These marker stripes are required in order to test for your next belt level. During class black belts may tell you to see them after class in order to get a marker stripe because they saw you performing your techniques well enough to earn them. SPARRING GEAR! When should I get it? 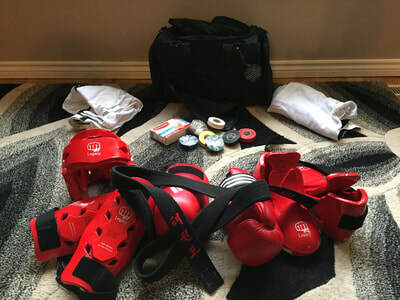 You can get sparring gear the day you join Taekwon-do. You can not spar without it but as soon as you get it you will be allowed to start sparring. 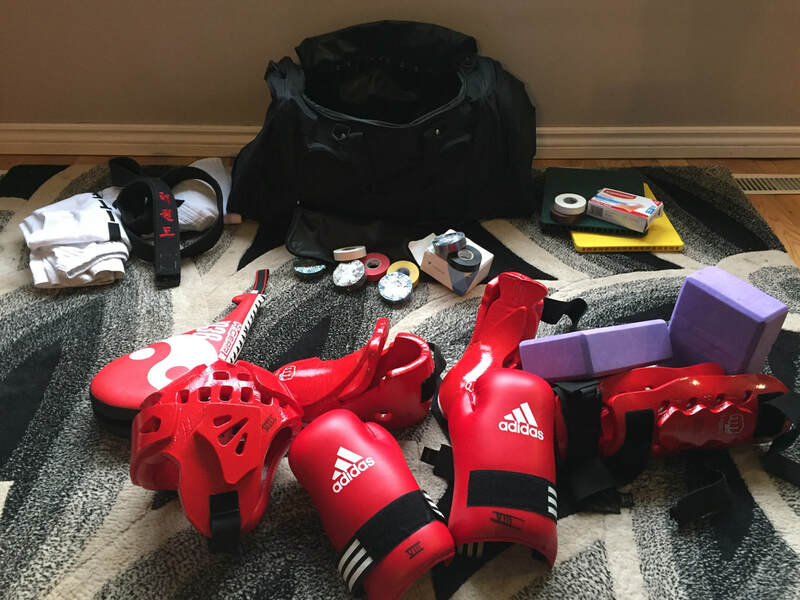 In fact new members get a new member discount on sparring gear orders if done in the first 2 months of membership. The first month you can get a set of gear for only $120. If you wait until the second month of membership you can get the full set of gear for $140. After the second month is over you will have to pay regular price which is $160. Colours available are red, black, blue, pink, purple and teal. Shadow Warriors that move into the regular class also have this deal waiting for them! These gear bags are available from the admin or in the store on this web site. They come in 2 sizes. Medium and Large. 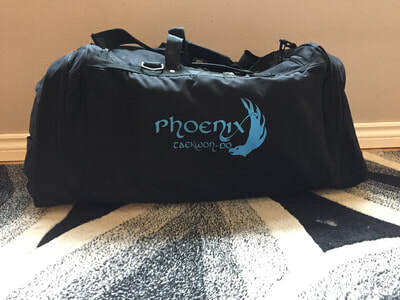 The bags also have 2 logos on the long sides as you can see in the picture. The logos come in either pink or blue. There are 3 zippered side pouches easily seen on the top bag in the picture. There are 2 short handle straps and one shoulder strap. Material is extra heavy duty nylon with PVC backing. There are riveted and cross stitched webbing on the stress points. Extra heavy duty zippers and gussetted end pockets for greater capacity. 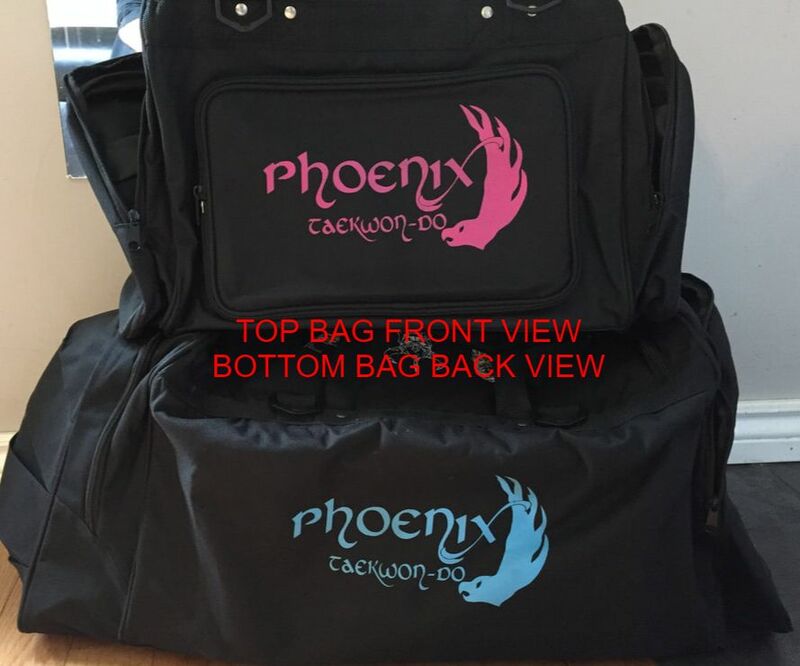 The large bag sells for $85 and the medium bag sells for $65. ​See below for more info on carrying capacity. The following pictures demonstrate the carrying capacity of the bags. 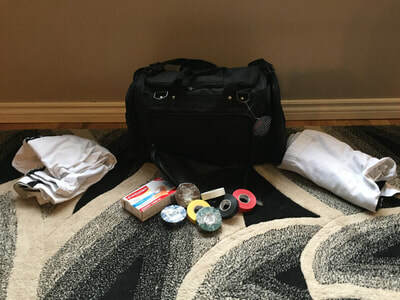 The large bag (blue logo) shows in each picture what was in the various pockets. The 5th picture in the sequence shows everything that was in the bag. The center compartment held a full set of gear (open gloves(bigger)), a paddle, and 2 purple yoga blocks. 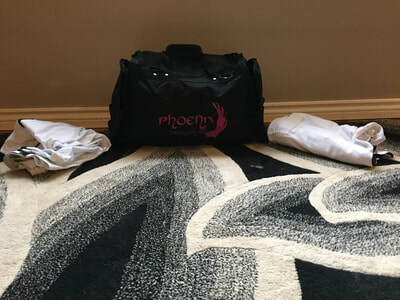 The medium bag (pink logo) center compartment also held a full set of gear (open gloves(bigger)), and a belt. 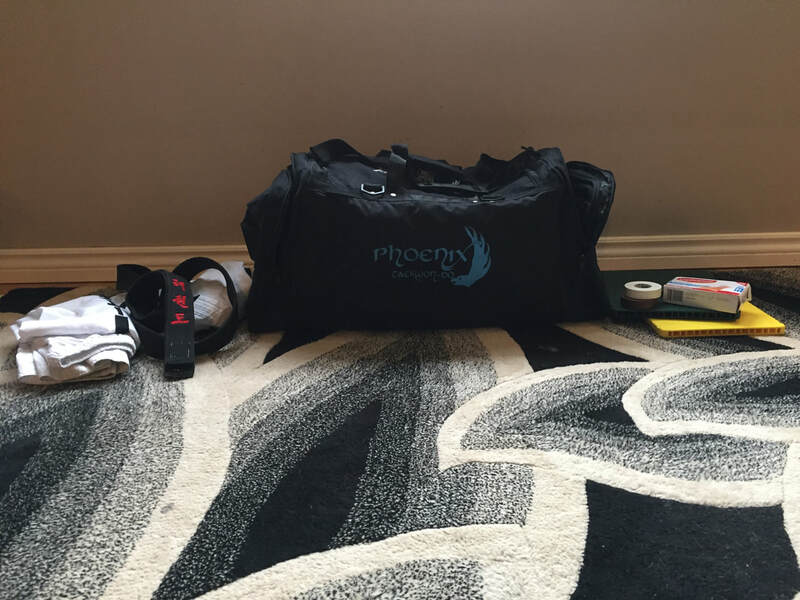 Both bags also easily stored a dobok.